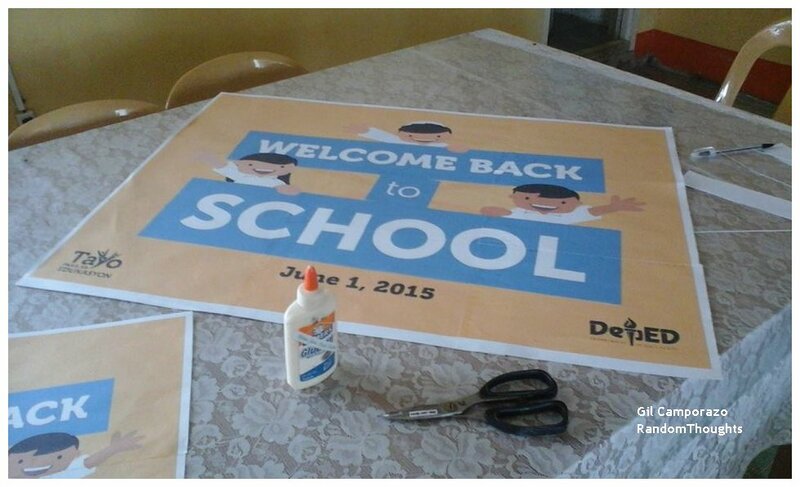 Classroom teachers are usually spending their own money for visual aids, bulletin board display, poster and even tarpaulin. But for all you know, they're resourceful. They have invented an economic, do-it-yourself visual aids or the like. And they call it "Tarpapel"
Tarpapel is made of a certain graphic design printed on several pieces of paper and is being patched one by one to form like a poster or streamer. When you look at it in a distance, it resembles to a tarpaulin. It is a do-it-yourself graphic tool for lesson presentation, for attractive bulletin board display, among others. I had tried making one. 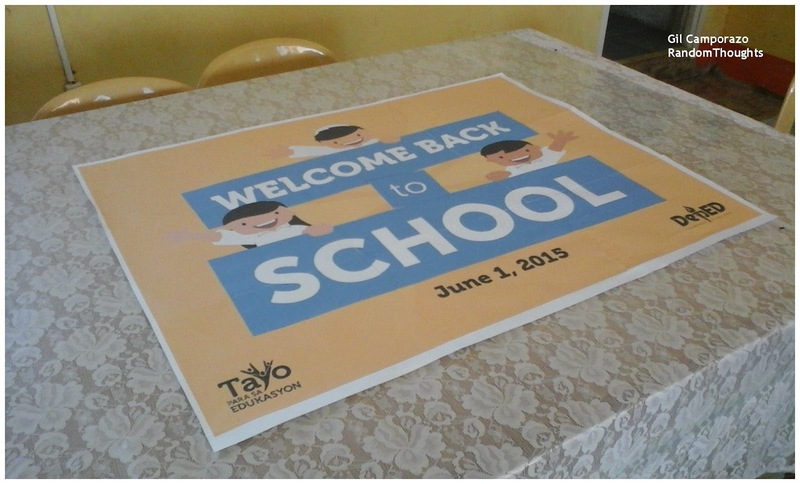 For the first time, I created 3x3 "Back to School" poster. 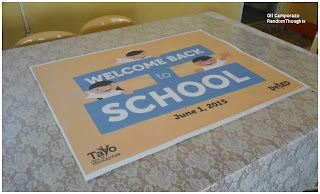 Here are the simple tutorial steps on how to create a tarpapel. Open the Word. Click the Page Layout to set your desired Orientation either Portrait or Landscape. and the size of your paper, either letter (short), legal (long) or whatever according to your need. Then start encoding the text. Use the appropriate font for your text. Or if you want to use pictures or image, you may click Insert to attach those images or pictures. Since your purpose is to make a poster, enlarge your text by selecting font size. For images or pictures, edit them by increasing their width or their height to fit the size of your page. 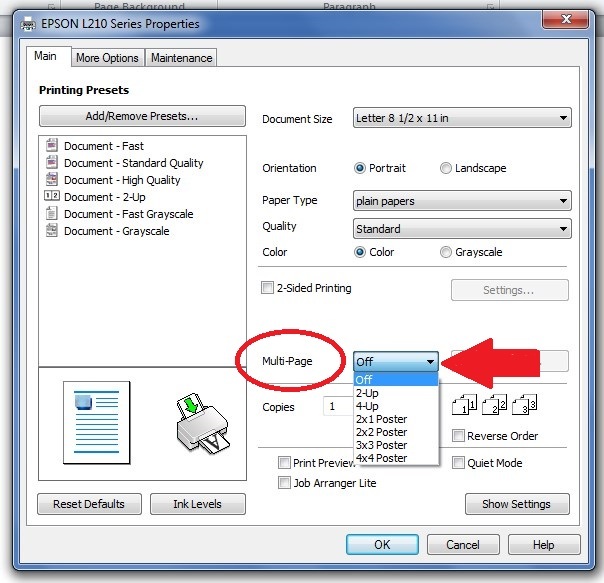 To print your work, press ctrl key and P together. Click Printer Properties to search for Multi-Page button. 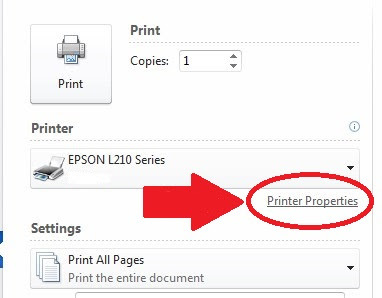 At Printer Properties, check the Multi-Page to select printing style like 2-up, 4-up, 2x1, 2x2, 3x3, 4x4, depending what size you need. I'm done with my 3x3 "Back to School" poster. Try to make your tarpapel. I am sure you will enjoy doing it too. Hindi po gumagana saakin. Tulong po. Huhu. wow this is cool.. a much more inexpensive way to make a tarpaulin... this is really ideal for those who are in rush.. they can now make a tarpaulin in no time... thanks for sharing this very useful tip! 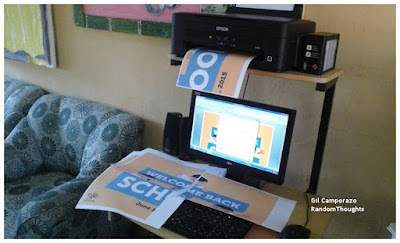 Sir pano po kung HP Printer gamit ko? 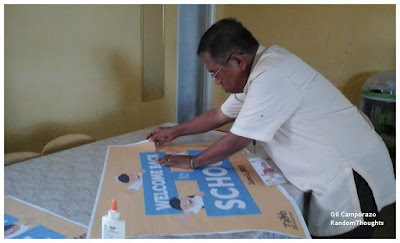 tapos ung size po sana ay sakto sa 4 short bond papers (ipi-paste po kasi namin sa 1/4 size na illustration board to make a poster. pano po isiset yun? 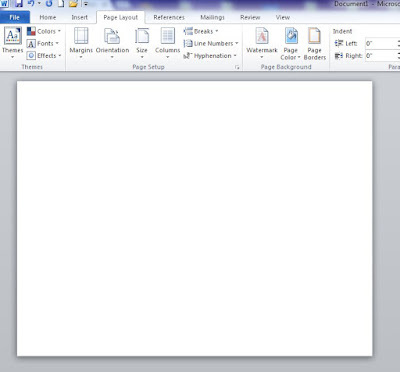 iset mo yun sa print out. check yun picture sa itaas. sir wala sa brother dcp j105..thnx.paano po? Paano po kapag ang gamit ay HP Deskjet 3700? Tingnan lang print setting at sundin yung nakapicture sa itaas.